Certain areas of this website are reserved for PACE members and require a login. If you're having trouble getting you login to work, this page will help you. You can also log in using your email address, which is most likely the one listed in the directory. The Password Restore process is very specific! 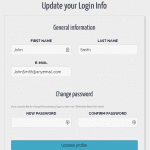 1: Enter Your username (first and last name, no space) or your email address and press the Restore Password button. If you receive the message "Username is not valid" when using either the username or email address, please Contact Us and we will help get you logged in. 2: A few minutes after you submit the Restore Password Forum an email with be sent to you with a link to reset your password. Copy and Paste the link from the email to the same browser window that you requested the password from. The link must be opened in the same browser that you requested the password from. If you receive an error message when opening the link, and the member's page is not loaded, then you need to start over and make sure to open the link in the same browser window. 3: Once you follow the link, it will open the members' page. The link is a one-time access link, so after you open the page, you must update your password. 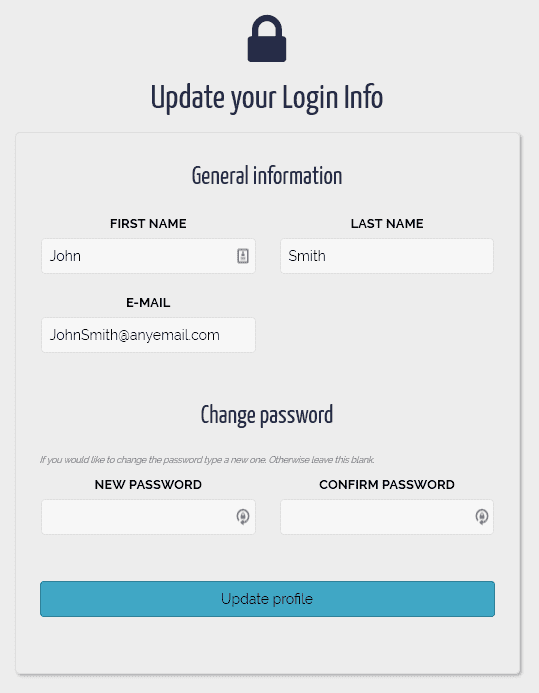 4: Scroll to the bottom of that page and use the "Update Your Login Info" section to set up a new password.